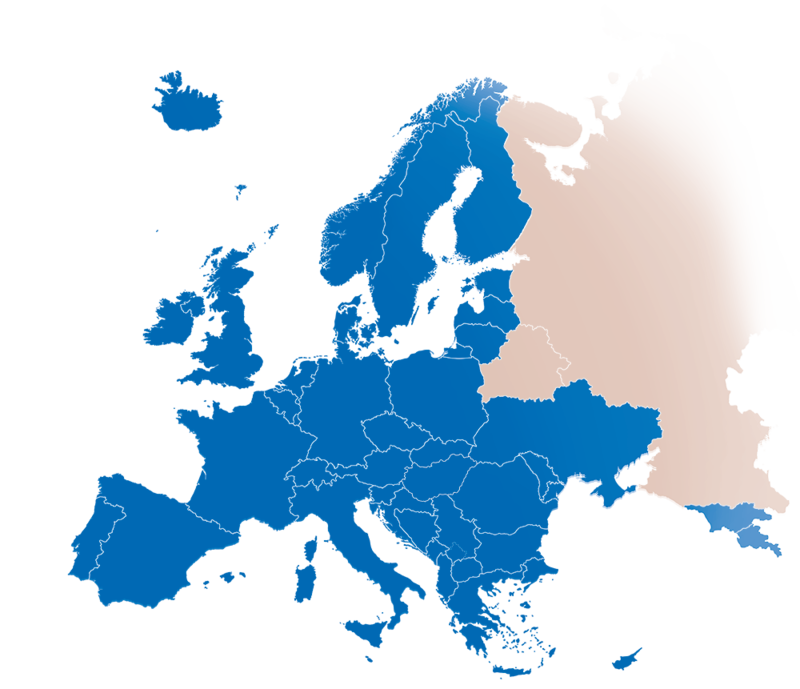 Democracy was invented in Athens at the dawn of European civilization, and the idea has been spreading across the continent since, with Britain and Switzerland providing additional models. A key element is the desire of the people to decide on the common future and delegate decisions only to the most able politicians. For this, free information and discussion are necessary. Political discussions take place in parliament, but also in the media and, in fact, wherever people gather. Theatre is a special forum for these discussions. Theatres are essentially laboratories where the present state of society is made visible and possible solutions are tried and tested: the characters on stage find out what the results will be of their thoughts, feelings and actions, while the spectators observe the process, witness the results and make judgements. Surprisingly, this theatrical discussion mostly takes place in theatre buildings owing their architectural form to the age of absolutism. So the question is: what could truly democratic architecture look like? View of arena and stage with parts of the auditorium. Max Reinhardt had the idea to create a theatre for thousands of visitors to connect more people to dramatic art. He therefore ordered a circus to be remodelled into the “Großes Schauspielhaus” (Great Playhouse), where he directed “Oresteia” and “Danton’s Death”. 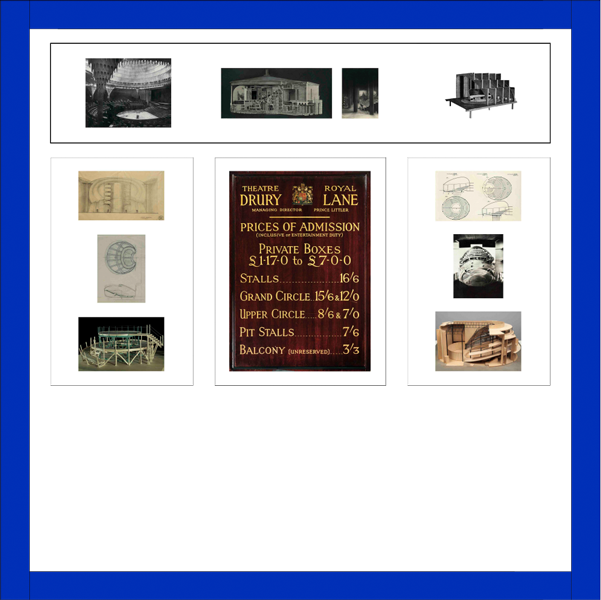 Like other architects and stage designers of the first decades of the 20th century Oskar Strnad thought about a theatre concept to leave the picture frame stage behind. His sources of inspiration were among others the revolving stage and circus buildings. The concept of the Revolving Ring Stage implies that the stage with all its set designs passes in front of the spectators – quasi through their view – while the stage ring surrounding the spectators places the auditorium in the centre and evokes a feeling of “embracement”. The design for Andrzej Pronaszko’s Simultaneous Theatre was made in 1928-1929 in cooperation with the architect Szymon Syrkus: a space with separated performance areas where one may organize many actions. However, the Simultaneous Theatre, also named Theatre of the Future or Theatre of Show, was never realized. The project Simultaneous Theatre assumes a huge auditorium (3000 seats), removes stage frame and a curtain, adds a circular movable stage, modernity of architectural décor and maximum functionality of the building. The light was to become a key element: instead of a curtain, the light was to separate stage and auditorium and show the spectators where they should look. Inspiration for this idea was drawn from a project by Walter Gropius, the Total Theatre, conceived in 1927 for Erwin Piscator. In 1926 the Austrian architect Friedrich Kiesler went to New York, where he organized the “International Theatre Exhibition”. 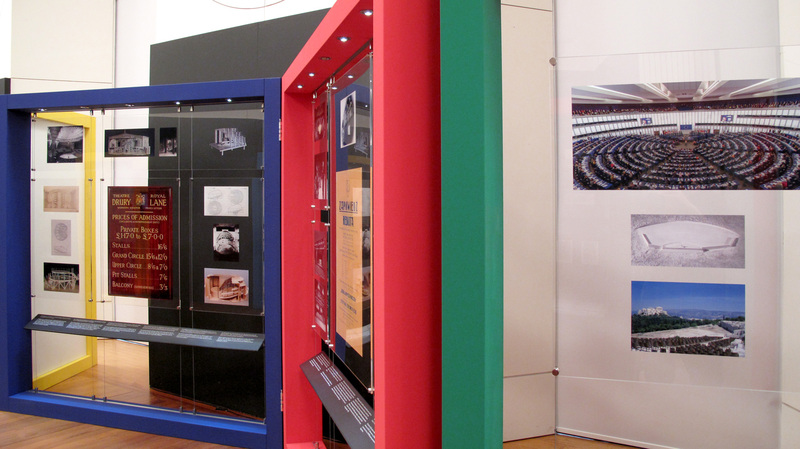 At this exhibition he presented for the first time an elliptical model named Endless/Universal Theatre. He was engaged in this concept for the rest of his life (which he spent in the USA) and the designs for the Universal theatre of 1959-1962 are the sum of his ideas. His principle aim had always been to create a theatre building, which was most flexible and multifunctional. Within the latest version of his Universal Theatre he combined theatre with media and art by integrating cinemas, TV and radio stations into the building as well as space for art exhibitions, fairs and commercial activities. In 1924 the architect Friedrich Kiesler organised and designed the “International Exposition of new Theatre Technology” for the “Music and Theatre Festival of Vienna”. Especially for this exposition he developed the revolutionary concept of the Space Stage. 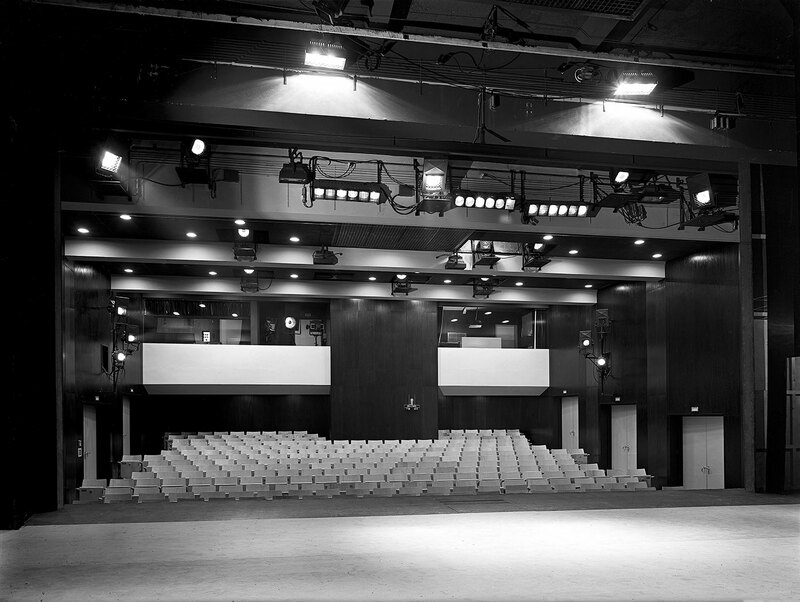 This stage was set up in the Concert Hall – surrounded by balconies. 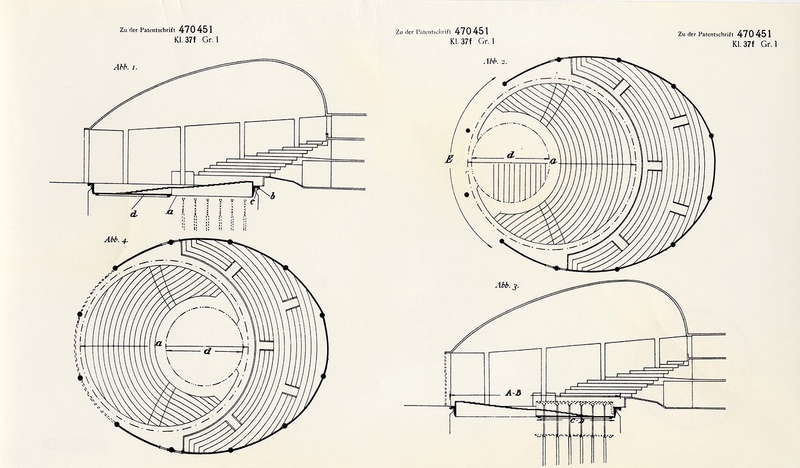 With the walkway ascending in spiral shape to a platform Kiesler created a dynamic setting for various forms of theatre and performance. The late expressionistic play “In the Dark” by Paul Frischauer was enacted there as well as dance performances by Gertrud Bodenwieser and her company. 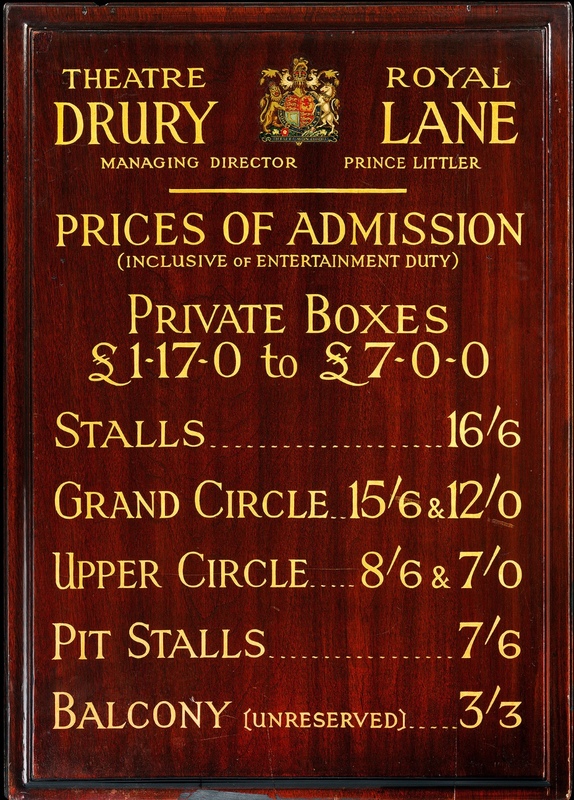 After the end of Second World War, Drury Lane re-opened to the public. This wooden board displays the ticket prices applied around 1946. It shows the structure and range available underpinning the democratic nature of theatre and its availability to people with a wide range of incomes. Seats in Private boxes cost 7 pounds (there were 20 shillings in a pound), whilst the cheapest seats in the balcony were 3 shilling 3 pence (3/3), making the most expensive seats around 45 times more expensive than the cheapest. Walter Gropius was one of the most influential architects of the 20th century, closely associated with Bauhaus style. In 1927, he developed ideas for a modern theatre building for the stage director Erwin Piscator (1893-1966). In the end, the theatre was not built, but Gropius had it patented. The basic ideas are to get the performance out to the audience from behind the picture frame, to put the audience in the centre of the action, and to make the room as flexible as possible, while seating thousands of spectators. 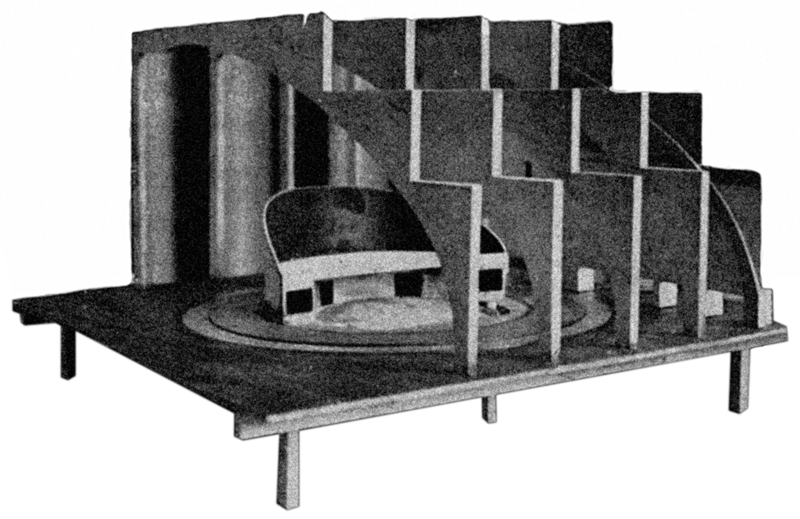 Gropius starts by defining three basic forms of a theatre space: the round of a circus, the half-circle of ancient Greeks and Roman theatres, and the deep stage behind the picture frame of the stage portal. His design allows creating all three forms in one room - mainly by moving part of the parterre around on rails. Gropius also imagined that the audience would be surrounded by projections on the curved ceiling and walls, as to be in the centre of the play. Walter Gropius was one of the most influential architects of the 20th century, closely associated with Bauhaus style. In 1927, he developed ideas for a modern theatre building for the stage director Erwin Piscator. In the end, the theatre was not built, but Gropius had it patented. Walter Gropius was the founder of the Bauhaus School (1919-1933). In 1927, he designed the Total Theatre for the director Erwin Piscator, who wanted a stage without proscenium and without a separation between stage and auditorium. 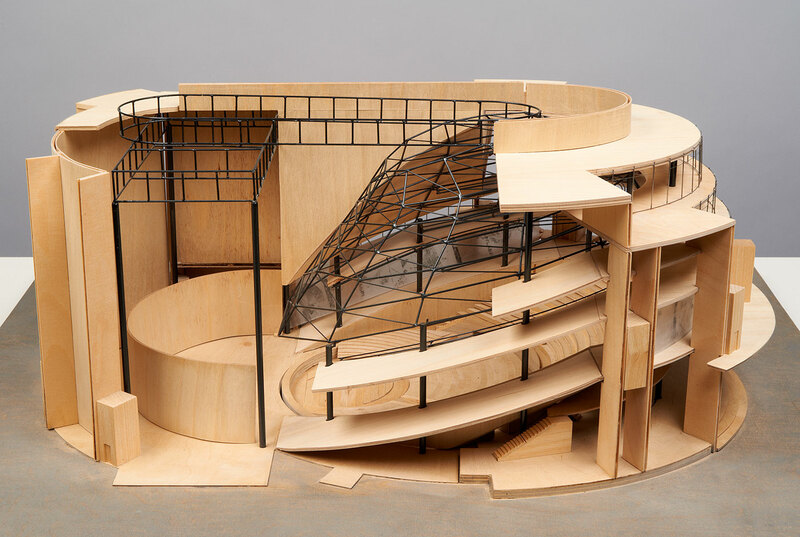 Gropius’ oval-shaped model of the Total Theatre presents a movable platform as stage and a partly movable auditorium. By this stage and auditorium are to be interfused and the spectators are to be activated. The theatre was not realized but is recognized as one of the most innovative theatre concepts. 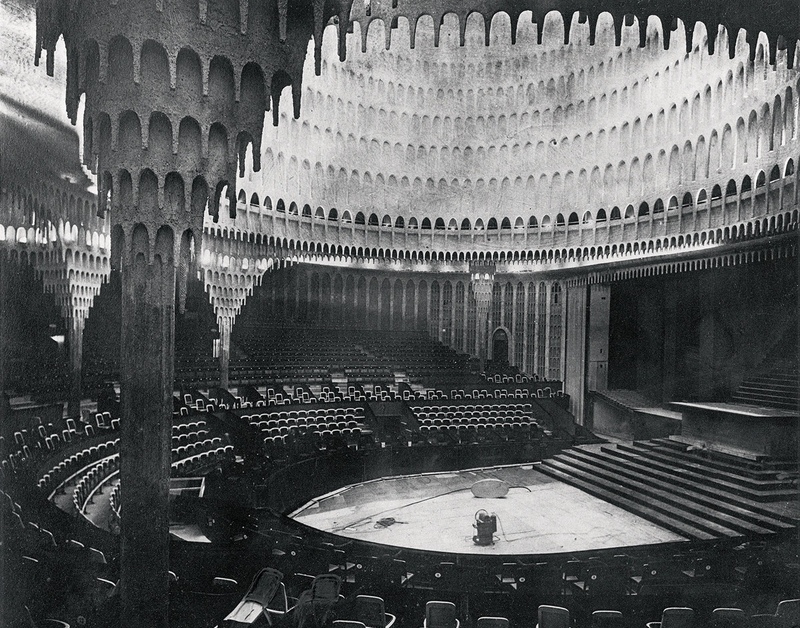 Greek model, roofed: Hans Poelzig transformed a circus building in Berlin into a theatre in 1919. 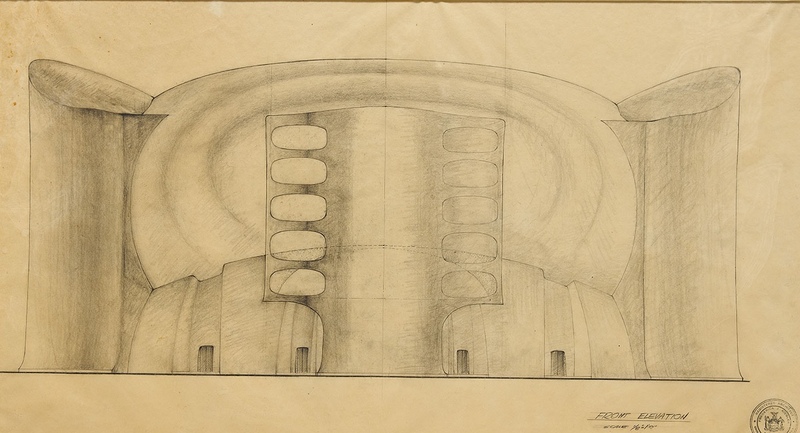 Drawings for a “Universal Theatre” by Frederick Kiesler feature an organic shape and movable seating in the auditorium; integrating film, television, radio, exhibitions, and fairs was also part of the plan in 1962. 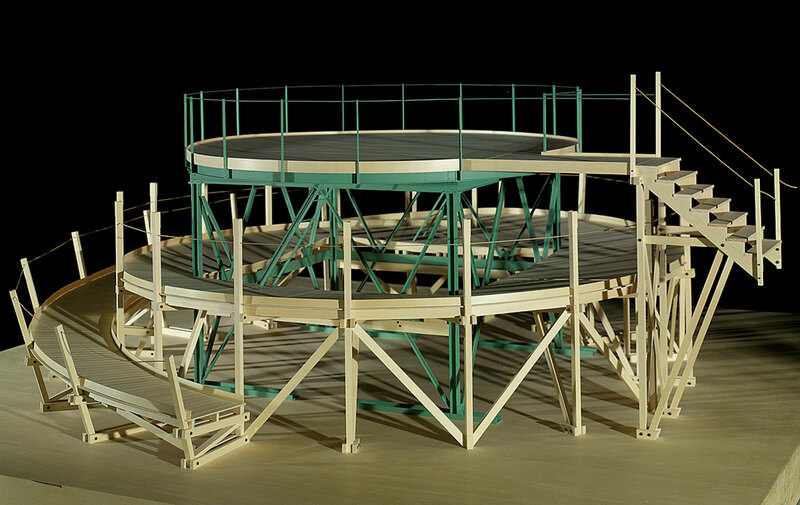 Already in 1924, Kiesler had built a “Spatial Stage” with a spiral catwalk for performances on many levels, surrounded by the audience. 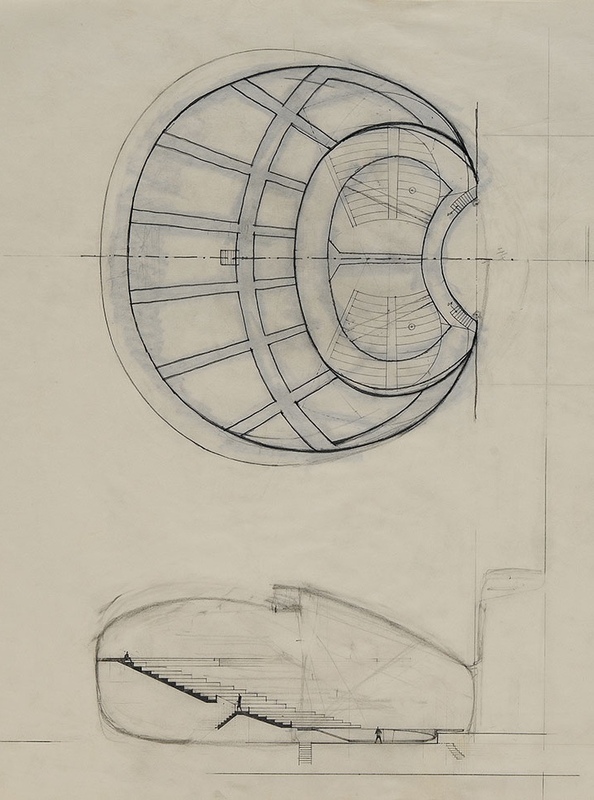 Oscar Strnad’s design for a “Ring Theatre”, around 1920, uses the Greek model, but also features a ring that revolves around the auditorium to effect scene changes. Democracy also means participation, hence that tickets are affordable for all people: on the notice board of Drury Lane theatre, London, in 1946, the price of the most inexpensive seat is equivalent to two working hours of an unskilled labourer. 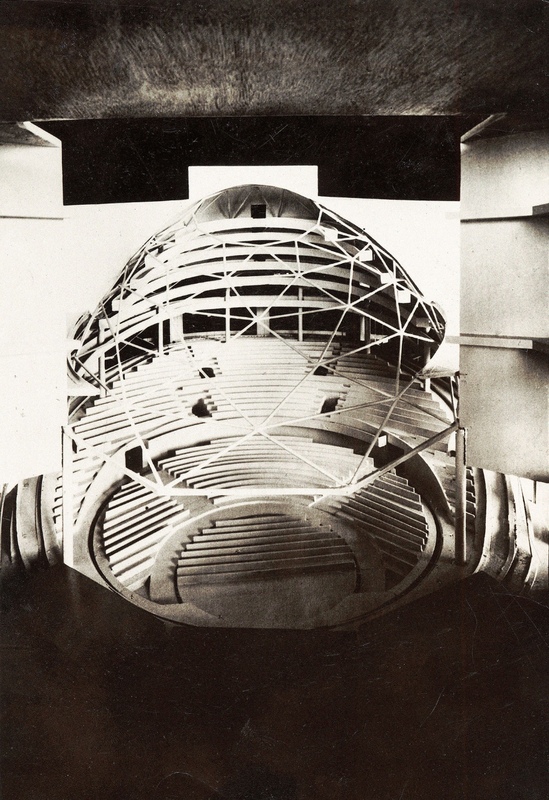 The model of a “Simultaneous Theatre”, 1929, by Andrzej Pronaszko and Szymon Syrkus removes all architectural elements, resulting in a pure form for spectators and actors. Walter Gropius envisioned a “Total Theatre” in 1927 where everything was geared to break down the barrier between actors and spectators and let the performance happen in front of, amidst and around the audience. 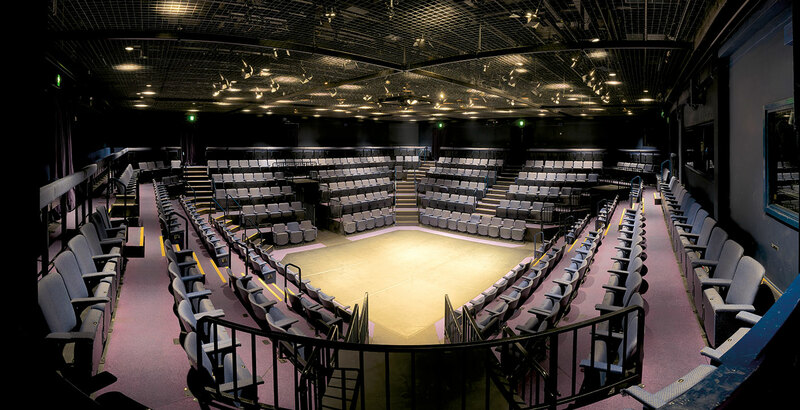 The Stephen Joseph Theatre is the quintessential theatre-in-the round, although it is not exactly round. But the rectangular layout is more appropriate for theatre; in a real circle, everything would automatically become circus. Stephen Joseph opened his first theatre-in-the-round in Scarborough 1955. Frustrated by open-air theatres in the round, he transported the idea into a closed room, like Palladio had done in Vicenza 400 years earlier, when he recreated a Roman outdoor theatre in a roofed room. The most famous person associated with the SJT is the playwright Alan Ayckbourn, who served as director of the company for 37 years. Today’s STJ opened in 1996 and seats 404 spectators. The Concordia was opened in 1970 as a second venue for the Schauspiel Bremen. It was used for more innovative productions such as Rainer Werner Fassbinder’s “Bremer Freiheit” on December 10th, 1971. A very similar situation was created, especially for the guest appearances, at the Berliner Theatertreffen on May 16th, 1972. View with parts of the auditorium. 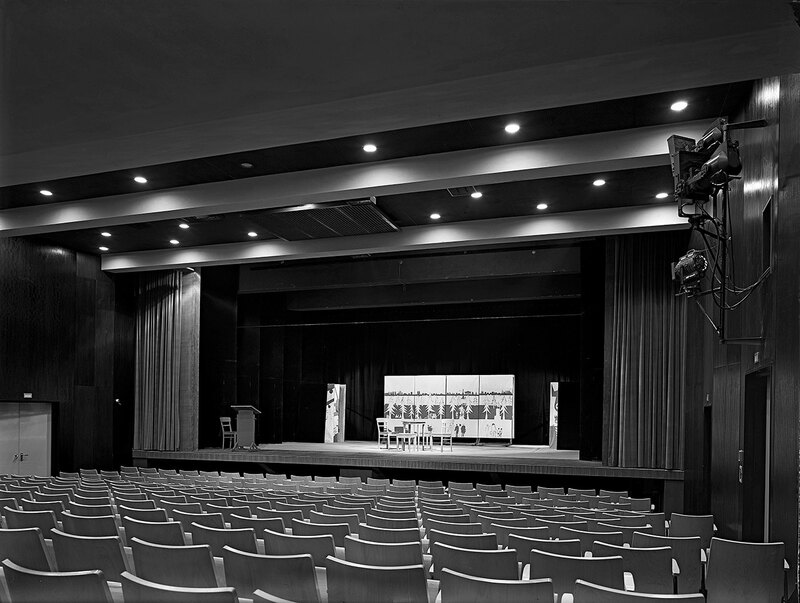 The ‘Werkraumtheater’ was opened on November 16th, 1961 as a second venue for the Kammerspiele in Munich. It is used for smaller and / or innovative productions. The aim of the Reduta Theatre was to bring theatre to towns and villages, to those who had never seen a play, or only bad companies. Additionally, many performances wer given for free. This was the direction developed by Juliusz Osterwa, Mieczysław Limanowski and Leon Schiller. They started in Summer 1924 from Warsaw. 1925-1929 they travelled from Vilnius. In these six years, they gave over 1800 performances. 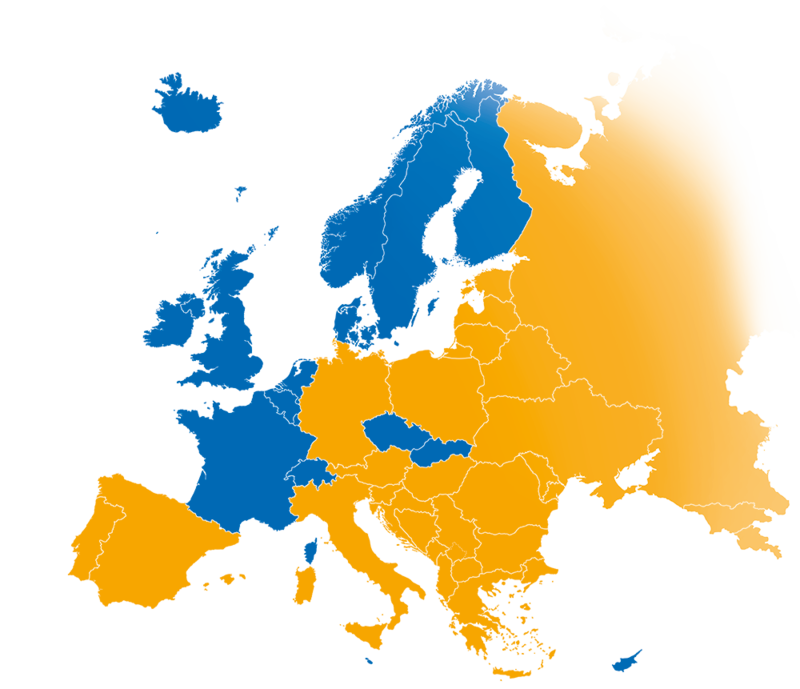 As they travelled the border regions, their audience were not only Poles, but also Silesians, Kashubian, White Russians and Ukrainians. 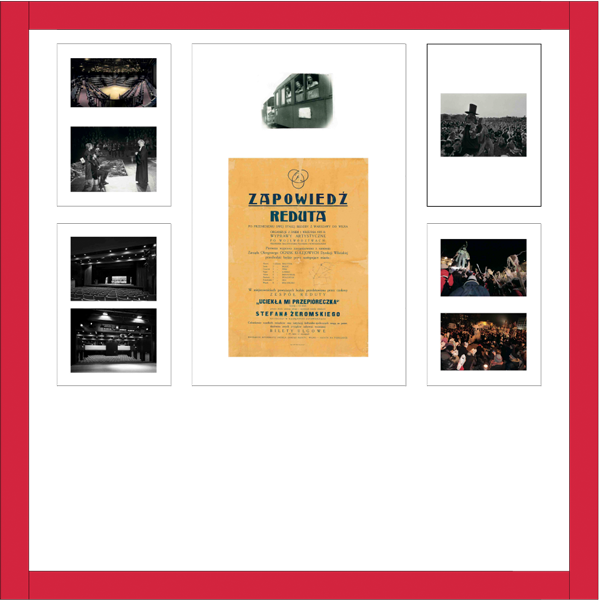 The repertory consisted of Polish classics: Zabłocki, Wyspiański, Norwid, and above all Żeromski. They journeyed by train, having their own two carriages. To some places they came with wagons. The idea turned out to be successful and influenced the next generations. 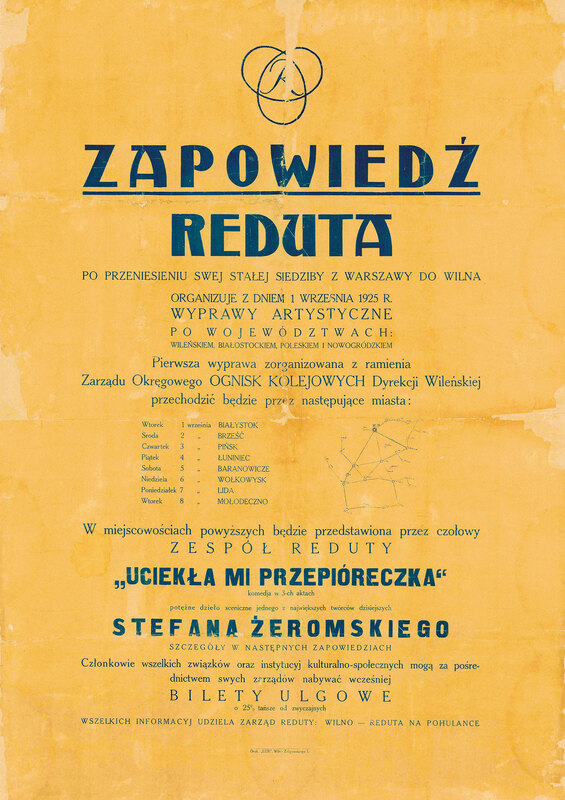 The poster announces the Reduta Theatre tour from 1 to 8 September 1925 to the North-Eastern borderlands of Poland (borders from before WWII). The tour, starting in Vilnius, included the towns Białystok, Brześć, Pińsk, Łuniniec, Baranowicze, Wołkowysk, Lida, and Mołodeczno. 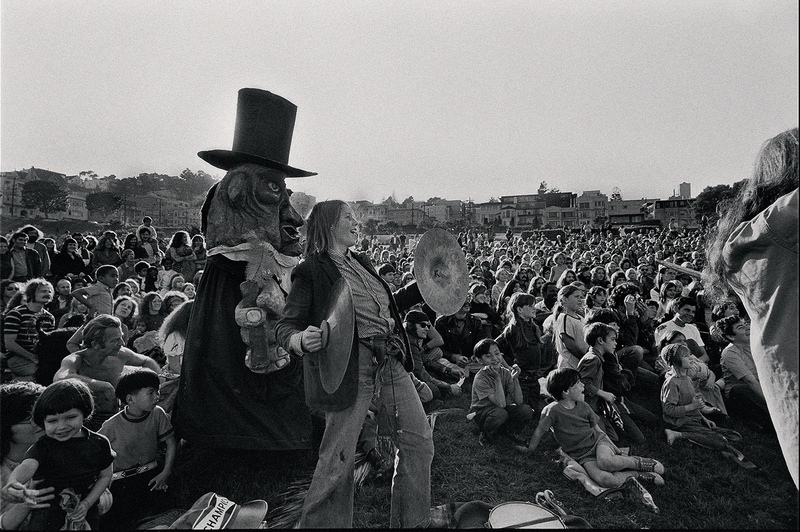 View with parts of the audience, Dolores Parc in San Francisco. 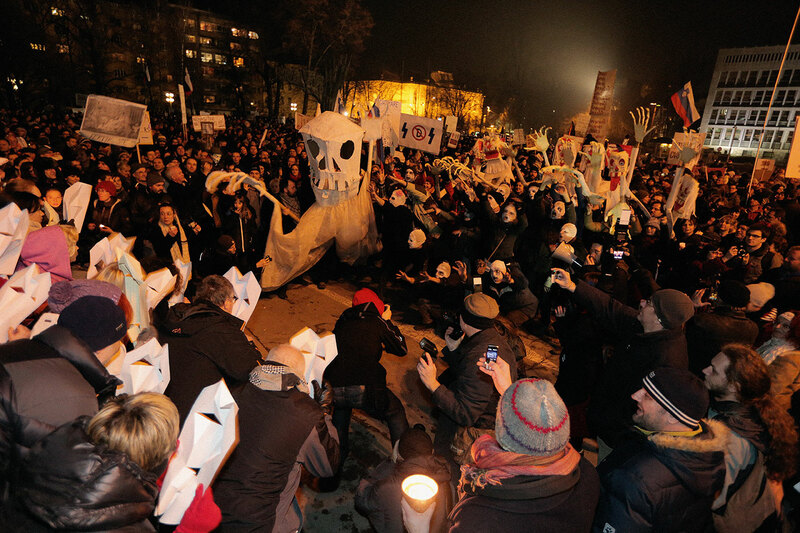 The Bread & Puppet Theatre also toured in Europe. End of 2012 and beginning of 2013 a series of political demonstrations took place in Slovenia, at first organized just via Facebook. Later on, the civil society got more and more organised (the biggest mass demonstration - on the Slovenian Day of Culture on 8 February 2013 - gathered about 20,000 participants). 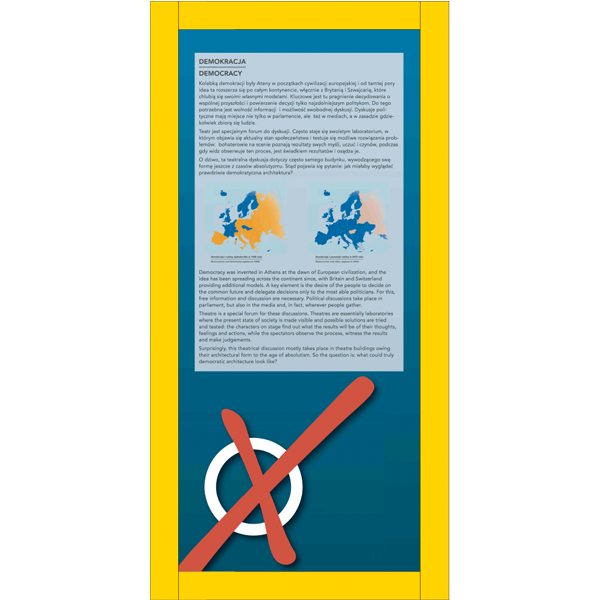 One part of the “demonstration movement” was the so-called Protestival (Protestwave). The event in the photo took place near the monument of the most important Slovenian poet, France Prešeren, in Ljubljana on February 8th, 2013. Protestival (Protestwave), part of the “demonstration movement” end of 2012 and beginning of 2013 in Slovenia, organized cultural events at the demonstrations (concerts, recitations, puppetry, public drawing of caricatures etc.). In 2014 “a collective artistic project Zombie” was awarded the Zlata ptica Award by the Slovenian Liberal Academy in 2014 for “artistic work which has outgrown the extension of authorship and has put the artistic event into the front”. The event shown took place in Ljubljana on February 8th, 2013. 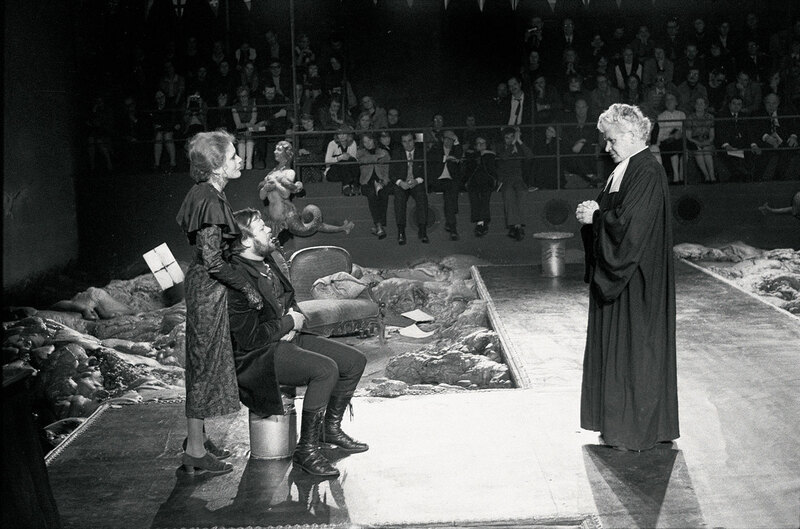 In a “theatre in the round” the audience is seated around the acting area, e.g. in the Stephen Joseph Theatre (top) in Scarborough, UK, which opened in 1955, or the Concordia Theatre (below) in Bremen, Germany, in the 1970s. Studio theatres like the Werkraumtheater (bottom) in Munich appeared from the 1950s onwards as venues for experimental productions. Bringing high-quality theatre to remote parts of the country can be a democratic act, too. This was the idea of the Polish stage director Juliusz Osterwa and his Redouta theatre troupe. 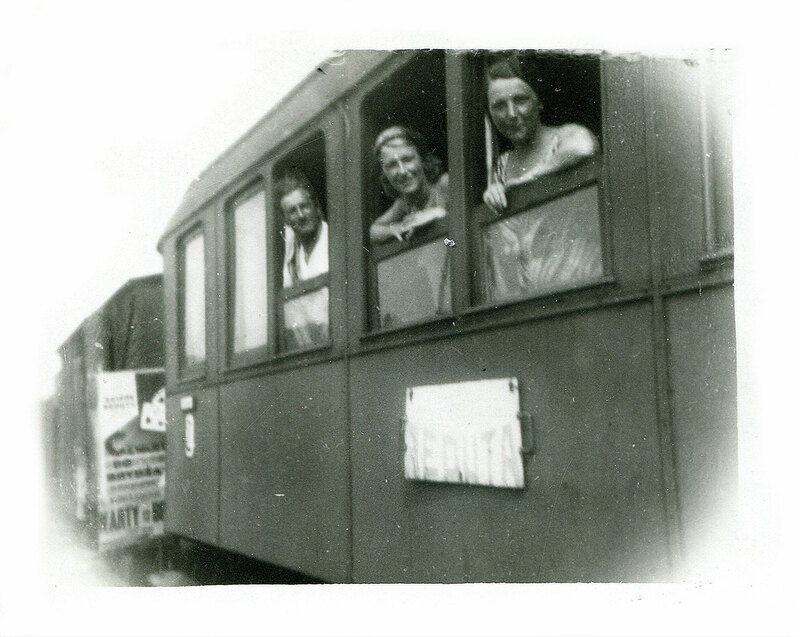 From 1924 to 1929, they travelled by train across Poland and the surrounding areas, giving 1,800 performances, mostly of Polish classics and – often for free. The poster for a week in September 1925 maps the stops. Performing among the spectators: the “Bread & Puppet Theater” from the U.S.A. during a tour of festivals in Europe, 1970. Acts in the crowd became a “Protestival” during demonstrations in front of the Slovenian Parliament in early 2013. The protests by about 100,000 people resulted in a change of government. The European Parliament has two parliament buildings, one in Brussels, Belgium, and this one in Strasbourg, France. The latter was designed by Architecture-Studio, Paris and inaugurated in 1999. It now seats 751 members of parliament from 28 countries, watched from above by up to 628 spectators. In Athens, the citizens first met in the Agora, the market square, to discuss and decide the future of their city. After the reforms of Kleisthenes (508 BC), the Athenians built the first parliament building in Europe, the Pnyx, on the hill next to the Acropolis. 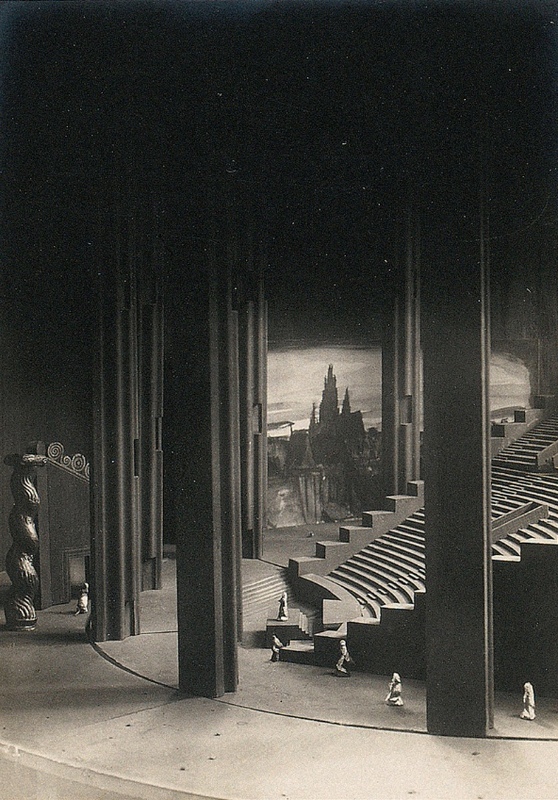 For this, they took their theatre building as a model. 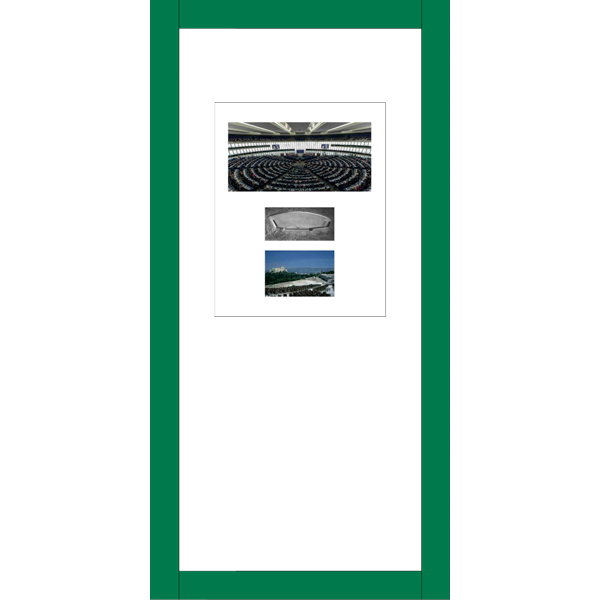 The speaker would stand on the little podium in the centre. The word "Pnyx" means "tightly packed" or "crowded", because several thousand Athenian male citizens – only men were allowed to take part – crowded together here to listen, debate, and vote. Courtesy of Kevin T. Glowacki and Nancy L. Klein, Texas A&M University, U.S.A. The Athenian parliament, the “Pnyx”, was restructured two times. For the second version (late 5th century BC), the whole arrangement was turned by 180°, so that the speaker now stood in front of the hill slope and the participants turned their backs to the city. This is the situation we can still trace today. The speaker's platform (Bema) and rock-cut scarp of the third version of the Pnyx (c 340 BC) are at the right side of the photo. The word "Pnyx" means "tightly packed" or "crowded", because several thousand Athenian male citizens – only men were allowed to take part – crowded together here to listen, debate, and vote. The chairs are modern. 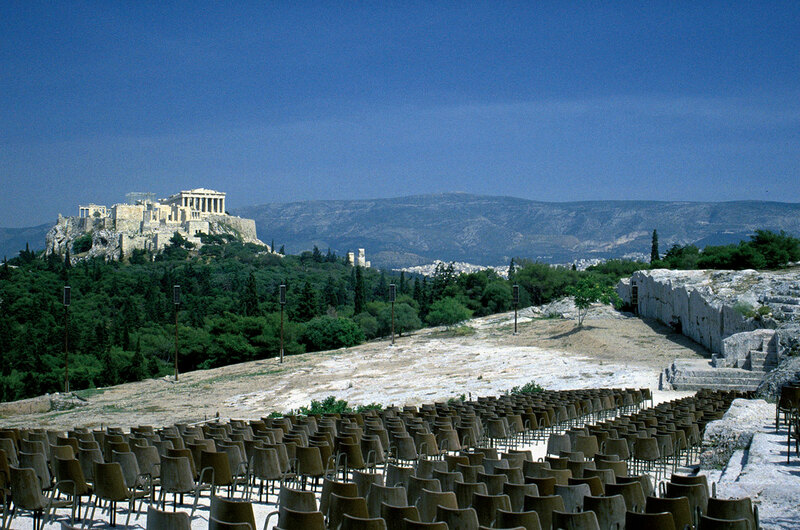 In the background the next hill, with the Acropolis. Parliament is the greatest theatre of democracy, a venue for debate and far reaching decisions. 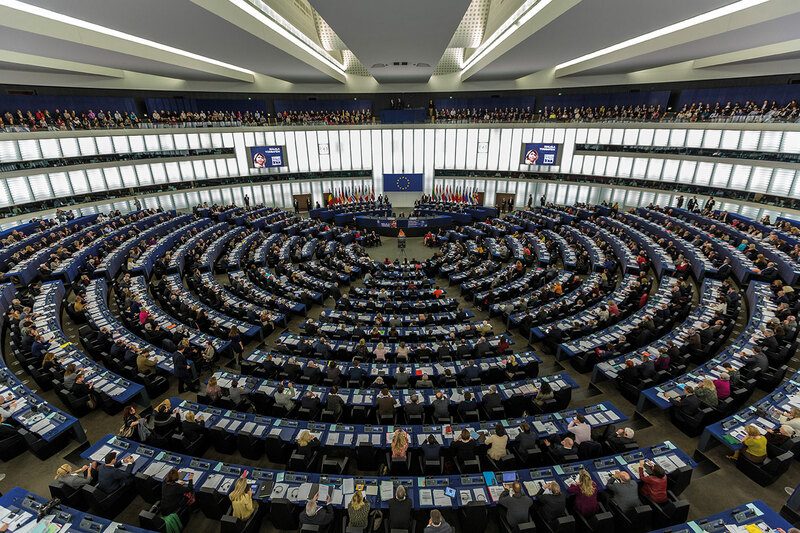 The European Parliament in Strasbourg, France, features a cast of 751 politicians from 28 countries, watched from above by up to 628 spectators and TV. Its semicircular layout goes back to Greek theatre and the Pnyx in Athens, the first parliament in Europe, built around 500 BC. The photos show a model of the first Pnyx and a present day view of the remains.